-LoVe| Clan LoVe Clan Section News QUIT! Ye i have a suggestion..old forum should be locked or deleted, or something like that, so we could get people here. I know about gt banners but what's the problem ? There's already table with server + banner from gt. some 1 can add all servers with 1 banner style in servers section? just do a post right?  (08-31-2013, 01:42 PM)mininoob Wrote: some 1 can add all servers with 1 banner style in servers section? just do a post right? btw amigos, if u post like a long text then it says u cant post more than 10 images or something. can u fix that and make the posting unlimited?